Who doesn't appreciate a nice view, and when one does, the first thing that comes to their mind is to capture that view forever. This is when one thinks of a camera. Every picture that one clicks has a story behind it, and to make sure that the story is passed on to the next generation, we preserve them in the best possible way. With the advancement in technology cameras have become more and more compact and much more easier to carry. Now almost every phone has a camera. But when you plan of clicking best pictures, you think of some really good cameras with sophisticated lenses and amazing clarity. There are a wide range of digital cameras to choose from. 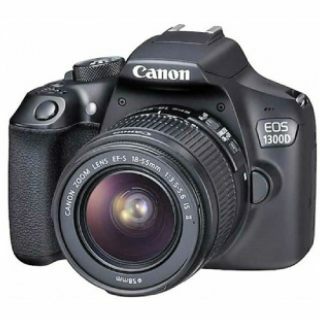 Point & Shoot and Digital SLRs, SLRs, Camcorders are amongst the most sought after cameras. Point & Shoot digital cameras are good for everyday use as they come with preset settings and are easy to operate. These cameras are an ideal choice for simple still photography. DSLRs and SLRs come with advanced features such as interchangeable lenses, adjustable zoom range, etc and are mostly used by professionals. If you like to shoot videos then go for Camcorders as they allow you to take both still and motion pictures. For those interested in shooting games can choose Sports and Action Camera that are equipped with features that would capture every detail of the game perfectly. Digital cameras these days have advanced features like HD display, water resistance, removable lenses and more. The best way to to buy cameras is via various online portals like Amazon, Flipkart, Snapdeal, Shopclues, etc. These not only have camera reviews written by users but also provide you with a wide range of cameras that best suits your budget. They have something for everyone, be it a beginner or a professional. The best brands for cameras are Nikon, Canon, Sony, Kodak, Fujifilm, Panasonic and more. These websites offer you best deals on cameras and you just cannot miss them. Shop for popular Digital Cameras such as Digital SLRs and Point & Shoot Cameras across different brands such as Canon cameras, Nikon cameras, Sony cameras, Samsung cameras, Fujifilm cameras, Pentax cameras, Panasonic cameras, Olympus cameras and many more.